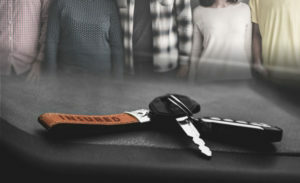 Should people with auto insurance be excluded from juries in car crash trials? if the above is refused, to remove the jury from the case and have the trial judge alone decide the case. Given the significant impact the decision could have on the administration of justice, the court adjourned to allow other interested parties, namely the Crown and the Advocate’s Society, to apply for an opportunity to weigh in. Currently, the Juries Act in Ontario does not allow a party in a civil action to challenge a juror for potential bias. This case could bring much-needed change to our jury system. It is time we consider how we select jurors in Ontario for civil cases and ask why we continue to keep jurors in the dark in motor vehicle cases about the deductible on pain and suffering damages, the 30% reduction in value of pre-trial income loss claims, the involvement of an insurance company in defending the action, and the threshold on certain damages. Unless and until there is more transparency, the judge should allow Ms. Kapoor’s requests and exclude biased jurors who pay for auto insurance. Too often, insurers report that “out of control” lawsuits are driving up insurance premiums. Jurors who drive typically know that an insurance company is behind the defendant. Without knowledge of the limitations already in place that reduce damages paid to victims of car crashes, jurors may reasonably decide that in order to keep premiums from becoming more expensive, they should reduce the victim’s award. Ontario should introduce jury voir dire, a procedure used in much of the United States. During jury voir dire, counsel can ask questions of potential jurors to ferret out inherent biases. We need this type of transparency in Ontario to ensure a fair trial. We should be able to tell jurors about the deductible, about the threshold, about the ability to only clam 70% of pre-trial loss of income, and that the defendant will almost certainly not be personally paying any of the damages awarded. There has been a lot of talk in the past several months about abolishing the jury system for civil cases; and if not for all civil cases, at least for motor vehicle crash cases. With the appropriate changes to the Juries Act to allow for voir dire and more opportunities to exclude bias, we can make the system more balanced and preserve our traditional principles of justice.